Features. Non fibered asphalt emulsion water based roof coating odorless solvent free product. Ideal for a wide variety of roofing applications such as waterproofing resurfacing sealing. 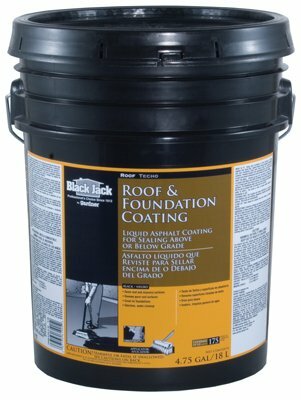 Provides like new appearance on cracked uneven roof surfaces odorless solvent free product. Surface can be damp or dry. Coating will dry in 1 to 2 days. Apply when temperatures are above 50 degrees. Coverage of approximately 60 sq. Ft. Per gallon. Soap water clean up. Dimension - 12 x 12 x 14.75 in.. Item weight - 45 lbs.